By LUDWIG VON KOOPA - Switch Sushi Striker isn't satisfactory. If you don't remember Sushi Striker: The Way of Sushido from last year's E3 2017, that's okay. It was originally announced just for the Nintendo 3DS, but is now coming out on both 3DS and Nintendo Switch on June 8. It's an action-puzzle game where you connect moving plates of sushi on lanes to accumulate the plates so you can throw them at your opponent. 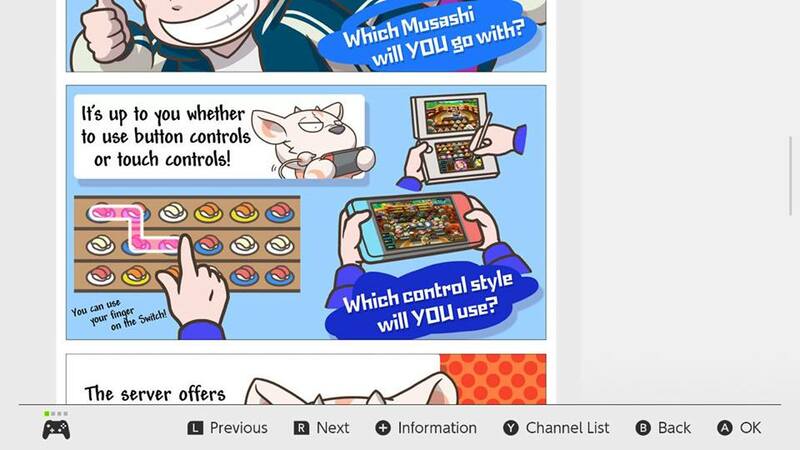 When you connect the sushi plates, you're canonically eating the sushi. There's a whole story and a song that goes with the game, but I'm more worried about something fundamental: the controls. Sorry, Nintendo Switch News application. This is a false choice. One of those control styles is completely nonviable. Two weeks ago, Nintendo released a demo of Sushi Striker: The Way of Sushido on the Nintendo eShop. I downloaded it on the Nintendo Switch, and found using the control stick for a game that is clearly meant for touch screens to be torturous, though I got to the end of the demo and wanted to keep playing since the demo ended on a cliffhanger. A shame about those controls, since the game seems to be otherwise charming. Oh well, I thought. Let's go download the 3DS demo and try that. 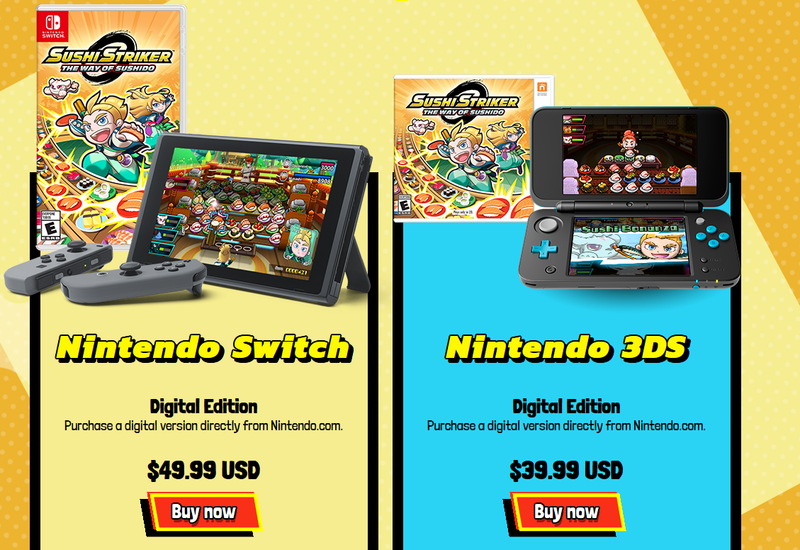 The Nintendo Switch version of Sushi Striker is $50. The Nintendo 3DS version of Sushi Striker is $40. They are exactly the same game in terms of content. Sort of reminiscent of Donkey Kong Country: Tropical Freeze. Utensils, of course, like a Nintendo 3DS stylus. It's hard to imagine that two decades ago, we didn't have touch screens for our games. Only the control stick or control pad and buttons. If you wanted the kind of experience a touch screen could bring, you had to be a PC gamer with a mouse. The original Nintendo DS made new gameplay experiences possible, or older ones much better. The Nintendo Switch shouldn't go backwards back to the dark days. If the game isn't playable without a touch screen, then don't bring it to the Nintendo Switch. Alternatively, the Nintendo Switch touch screen should have never been capacitive. It should have been a resistive touch screen, just like the DS line, and come with a stylus. There hasn't been a Nintendo Switch game that has utilised the capacitive touch screen in a way that adds anything to the gameplay experience. In fact, the existence of a touch screen contradicts the “play anywhere how you want to” message of the Nintendo Switch, because if you are playing your Nintendo Switch while it is docked, there is no touch screen you can use. Games that rely on it therefore violate the Nintendo Switch ethos. I think Sushi Striker: The Way of Sushido exemplifies that more than anything else right now. Let's consider this a lesson! ...Hey, so we're gonna see more of the Octo Expansion for Splatoon 2 at E3 2018, right? Despite the game's charm, Ludwig has no plans to purchase Sushi Striker: The Way of Sushido on the Nintendo 3DS, especially if there won't be a demo of it. He is still bothered that Nintendo is trying to sell an inferior version of the game for a higher price, and provides a demo only for that inferior version. Much like his father, Ludwig avoids touching touch screens without a stylus because his claw will crack the screen. Which utensil does Ludwig use to eat sushi? Find out here! The demo really did not do anything for me. I could not see me purchasing this for $50 or let alone $40. 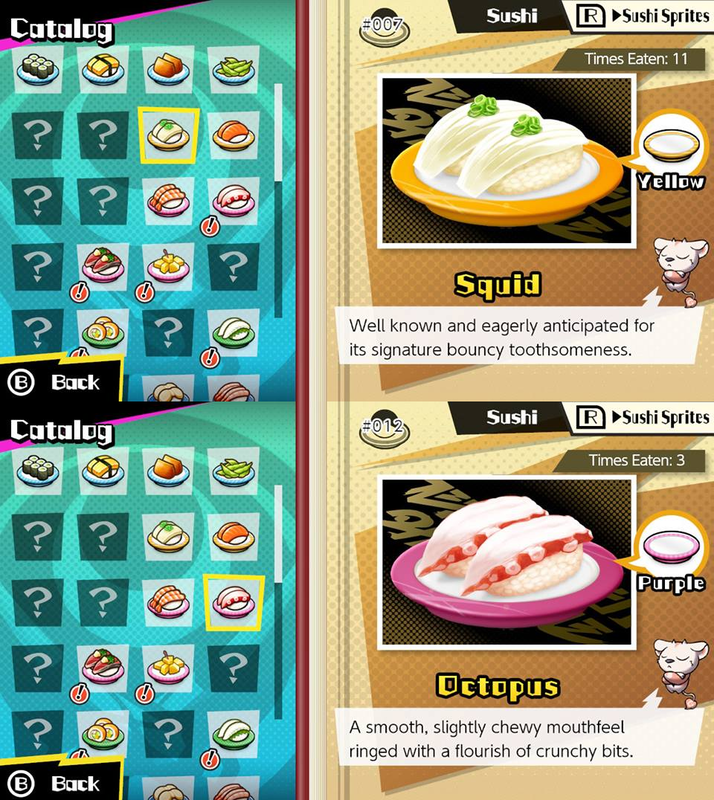 Sushi Strikers seems as it should have just been an eShop exclusive as I do not see it selling very well. I'm surprised that it's not an eShop exclusive. On another note, its theme song is definitely an earworm (and you have to go through it for the demo), so the game has clearly made an impression on me.